1. A Scarecrow in need of a brain. 2. A Tin Man seeking a heart. 3. A Cowardly Lion lacking courage. 1. George W. Bush, proudly anti-intellectual, but seeking respect. 2. Barack Obama, seemingly lacking the courage of his convictions. 3. Mitt Romney, heartless chopper of deadwood. There is something familiar and timeless here. History is replete with examples of persons who acquire knowledge, timid souls who take bold action, and callous persons who become sensitive. 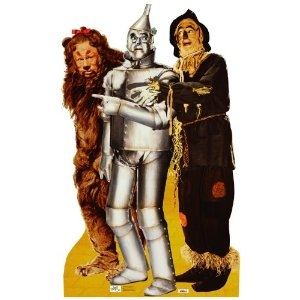 That the Scarecrow, the Lion and the Tin Man are strikingly appropriate figures for the early 21st century is just coincidence. 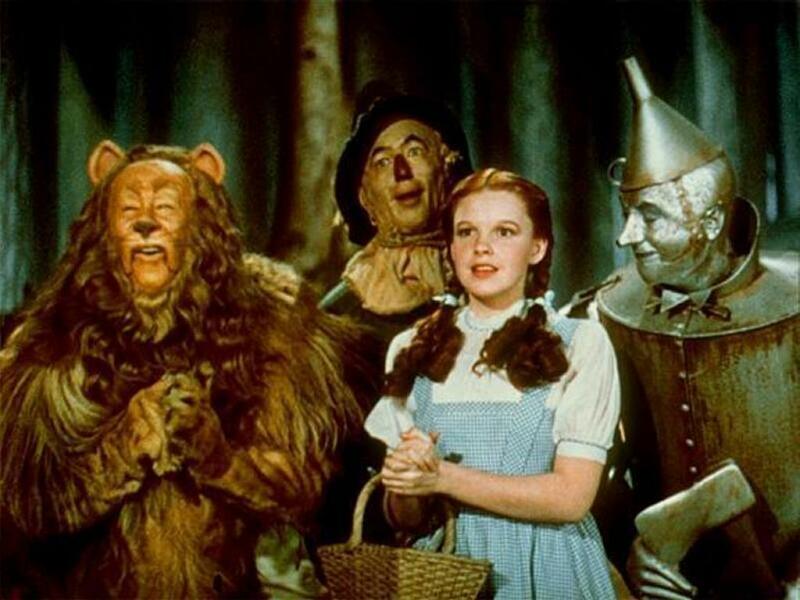 The Wizard turns out to be an elderly man from the Midwest who got to Oz in a circus balloon. He has presided over the land for many years by smoke and mirrors and has fooled everyone into thinking he saved the country. He is charming and uses his genial disposition to convince Dorothy’s companions that he has given them the qualities they seek. Finally, however, he confesses to being just a clever salesman, a “humbug”. The Wizard is a humbug, providing the model for Ronald Reagan, whom the current trio of chief executives and would-be chiefs frequently cite as their inspiration for policy and governance. 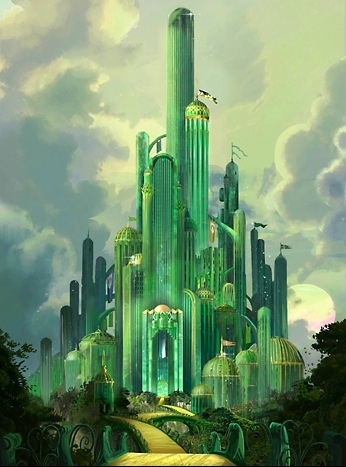 President Reagan, salesman for General Electric, Van Heusen shirts, Chesterfield cigarettes, and the Strategic Defense Initiative (Star Wars), is as amiable a wizard as anyone would want to save the emerald city from wicked witches, flying monkeys, and “other terrorists”. 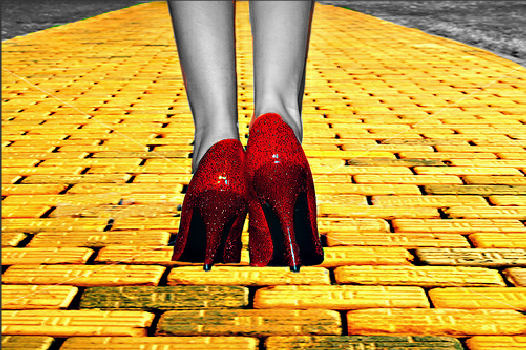 Like Dorothy, we’ll all follow the Yellow Brick Road to the voting booth, work our magic behind the curtain, and hope for a transformation of our favourite character. 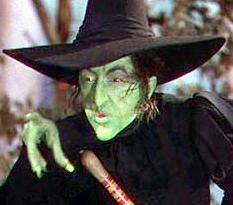 Not to forget The Wicked Witch of The West…lets just say she represents the Evils of Government and Big Business. She scared me as a child and now more then ever she still does! Adapted by John Zeus. Original Source: Bernard Mergen: Wizard of Oz politics – Op-Ed Commentaries – The Charleston Gazette – West Virginia News and Sports –.